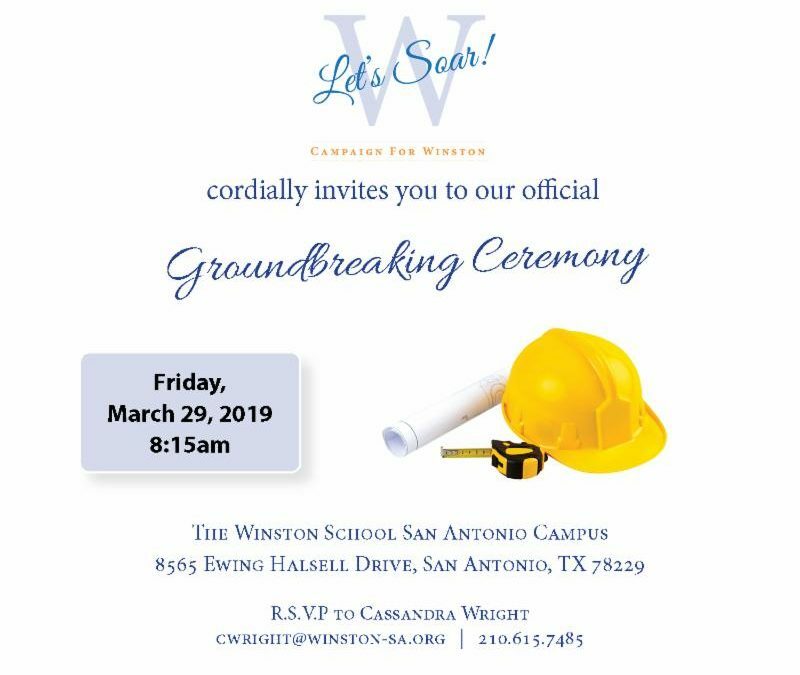 San Antonio, TX – March 19, 2019 – The Winston School San Antonio cordially invites you to attend a groundbreaking ceremony to launch the construction of our new $9.7 million campus expansion project. The event will take place on Friday, March 29 at 8:15 am on The Winston School San Antonio campus. 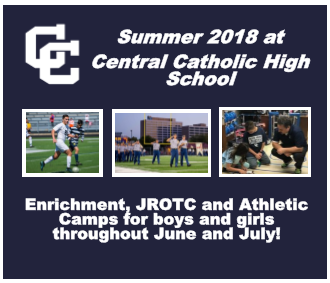 “This much-needed campus expansion will allow us to provide new creative opportunities for our students” says Headmaster Charles J. Karulak, Ed.D. This campus expansion will enhance the existing facility, which was constructed in 1999. The new split-level facility will include a variety of spaces, including a dining and assembly hall, a black box theater, a digital media classroom, and many other fine arts areas. The assembly space will allow for the expansion of Winston’s acclaimed educational outreach programs. 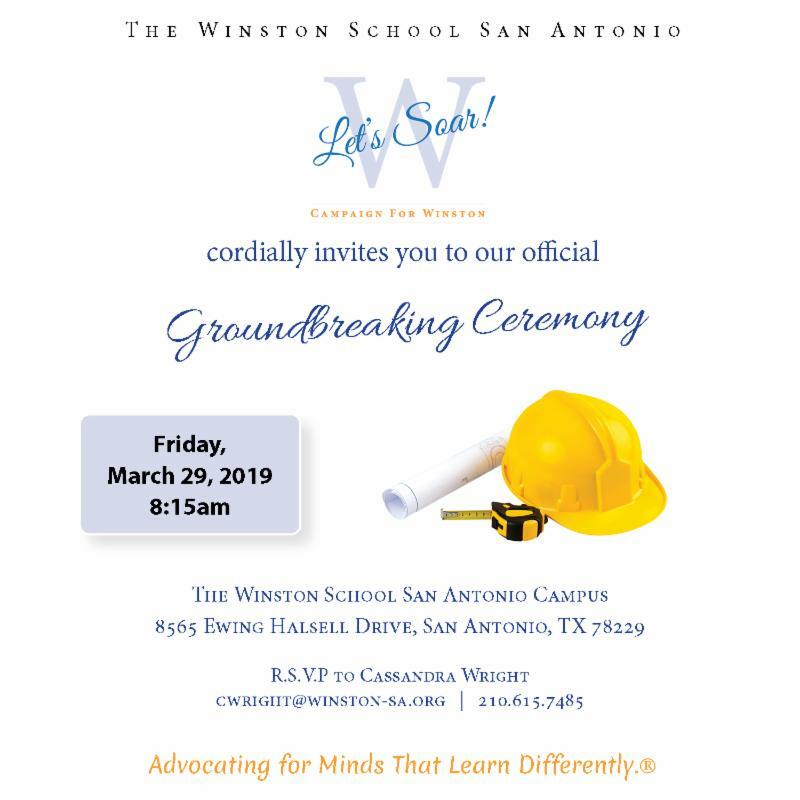 About The Winston School San Antonio:The mission of The Winston School San Antonio is to provide a personalized, college preparatory education to students with high potential and identified learning differences. A Winston School graduate is confident, well-rounded, and a life-long self-advocate.